It’s easy to complain about the music scene in the UK at the minute, from the insipid invasion of the charts and mainstream radio to the ambient buzz of mediocrity drowning out the truly creative, not to mention the excessive number of club closures and the rise of watered down events. But how do things compare in other places around the world? 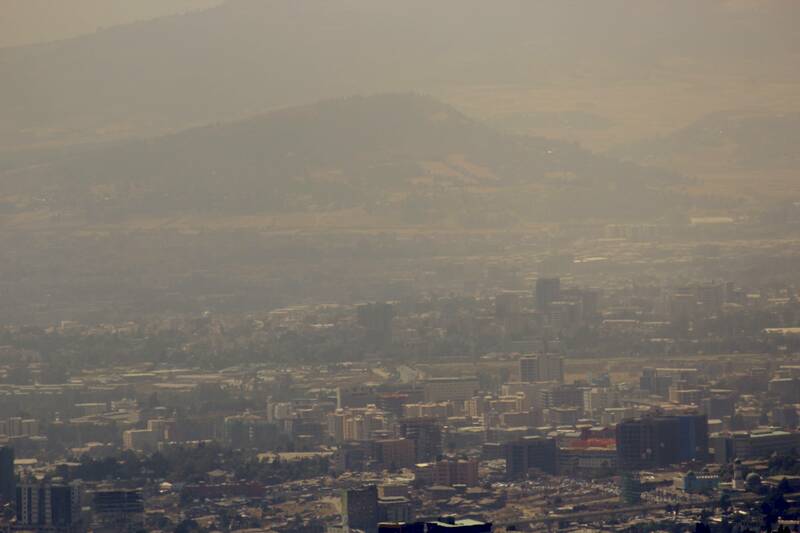 New York, Berlin, Melbourne, Tokyo – how about Addis Ababa? Moving around Addis you’ll find a lot of the young people hanging out in cafes or sitting off chewing khat leaves and listening to music on their phones or watching pirated movies dubbed in Amharic, moving on to cheap beers and a national football obsession in the evening (it was said that some fans were so dedicated to their European teams that violence occasionally erupted between rivals). On buses and in taxis there’s a healthy mix of Ethiopian and Western music, and the one name you constantly hear about is Teddy Afro. He blew up in popularity when the government took exception to some of his politically charged songs and banned them. Teddy Afro’s music courts the mainstream but at the same time, working with the chikchikta time signature, it’s undeniably Ethiopian. In terms of live music, there’s places like Mama’s Kitchen, Millennium Hall and the Ghion Hotel, where some of the country’s most celebrated artists perform, and venues along Bole Road, where Afro-pop and the sounds of the Western charts reign supreme whilst more innovative and experimental DJs work against the tide to carve out their niche. Dig a bit deeper and you’ll find azmari bets, small venues where bards known as azmaris – similar to West African girots – keep a tradition alive that’s been passed from father to son for generations; a handful of mysterious, word-of-mouth record dealers; and pockets of musicians working on the fringes and struggling to find the means to put out their tracks. Addis Abeba is a city far too complex and sprawling to pin down in just a week but I soon found that the creative underground is divided into smaller close-knit communities. I also realised that a good deal of the key players all went to the same international school, Lycée Guebre Mariam. Both DJ/producer Endeguena Mulu aka Ethiopian Records and Woukianos Fekru and Isaac Elias of the reggae band Zion Rebels went to Lycée. Attending an international school not only exposed them to a plethora of new influences but also gifted them the ability to look at their own culture in a different way. Having all initially started out making hip-hop beats with an Ethiopian tinge when music production software and pirate downloads became available, this new perspective led Endeguena - alongside Mikael Seifu and Dawit Eklund - to push their culture forward in fresh directions with Ethiopiyawi electronic, a genre fusing traditional vocalists, azmaris and instruments like the masinko, krar and kebero with underground house, techno and UK garage sensibilities. This new perspective, on the other hand, led the Zion Rebels to try and bring a more conscious reggae sound back to Ethiopia. 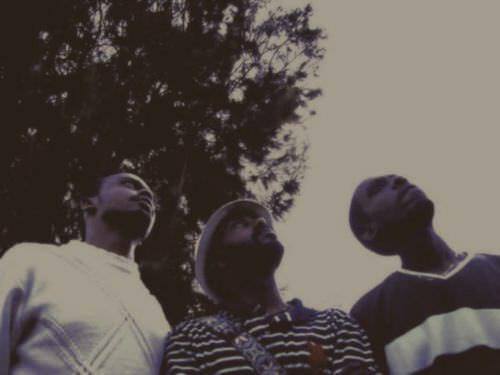 Despite this, the three-piece – completed by Tewodros Haile – have managed to amass the resources needed to record and release their music and found their audience isn’t necessarily confined to Ethiopia when Japanese label Junior Wize Productions picked up their 2015 single ‘Praising Jah’. Collaborating on that record, they’ve continued to work with producer Natty Simz and have developed a more international sound, singing sometimes in French, but often keeping their song titles in their native Amharic. 2016’s ‘Meleket’ compilation brought together a number of Addis’ established and emerging reggae artists including Static Levi, Natty Simz, Ebony J, Benjamin Beats, Lion Heart Souljahs, Micky Z and Ashenafi. It seems the Zion Rebels’ work towards creating a conscious reggae scene in the city is starting to pay off and they’ve got more new music in the works for this year, as well as a forthcoming documentary from the Rusty Town film crew, who’ve been following their story for a number of years. Addis isn’t the only place you’ll find Ethiopian reggae, Fikrou explained that Emperor Haile Selassie turned some of his private land into a place for Jamaican repatriation known as Shashemene, creating a Rastafarian community in ‘the promised land’ of Zion. “In WWII, a lot of Jamaicans came here to fight on the side of the Ethiopians and to thank them, the Emperor gave them the land.” Although they’ve never played there, the Zion Rebels have visited Shashemene to hear some of its roots reggae. Although limited, the internet made it possible for Ethiopiyawi electronic to explode on the international stage the way it did, finding a home on Washington DC’s 1432 R label, getting picked up on countless blogs and featuring on international radio/podcasts like Boiler Room, Solid Steel and Worldwide FM, as well as local radio, like Endeguena’s recent show on Sheger 102.1FM, playing diverse Ethiopian influences. 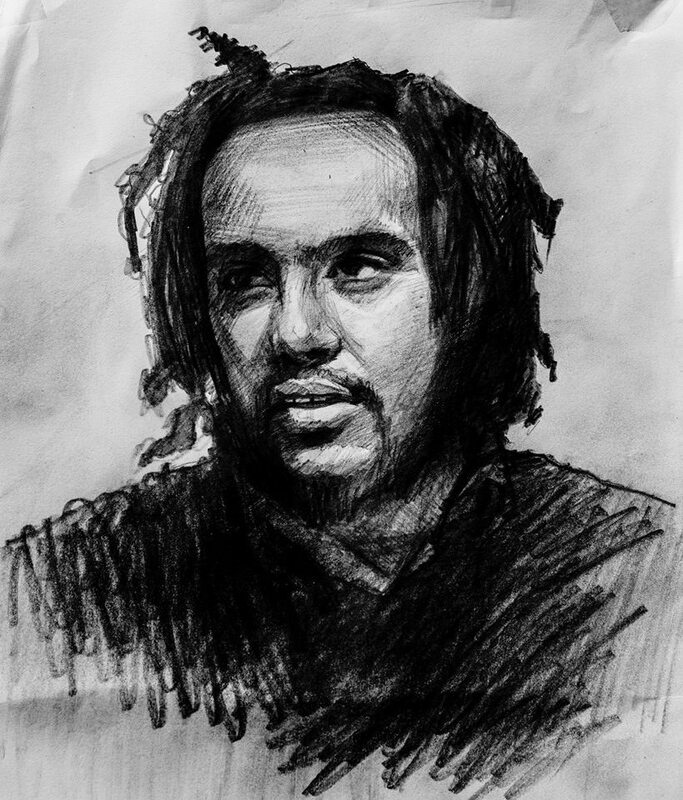 Putting out his debut ‘Qen Sew ቅን ሰዉ’ EP in October 2014 – which featured a collaboration with Zion Rebels - Ethiopian Records released another two official EPs the following year, ‘In My Sleep’ and ‘Letu Sinega’. Despite his name growing internationally as a producer, he always felt he was going against the grain of normal nightlife as a DJ. Like the Zion Rebels, he highlights the fact that the music that gets people drinking is by far the preferred choice for promoters, even if you’re winning over crowds. Breaking onto an international platform brought its challenges for Endeguena too. 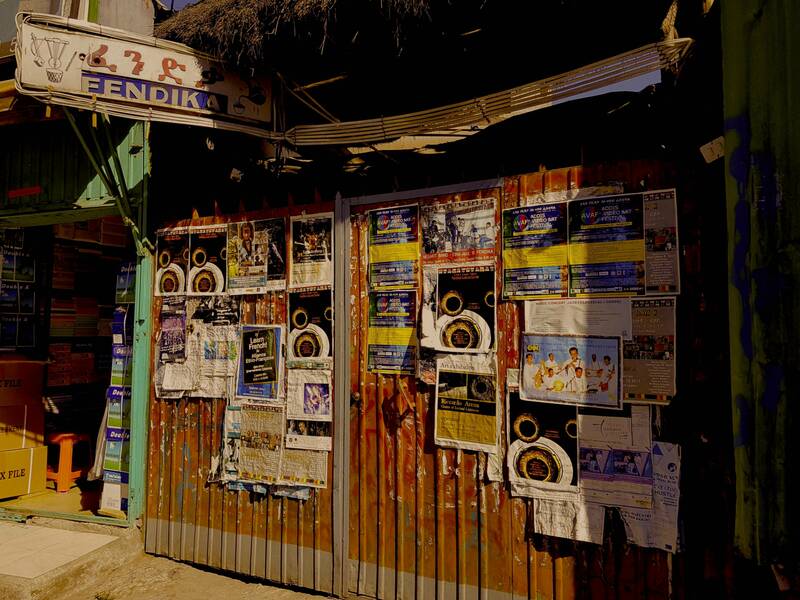 The idea of coining the term, Ethiopiyawi electronic came from the fear of being put in reductive umbrella terms like World music, or even worse Ethnic music. When he releases some new music, Endeguena often issues an artistic statement alongside it, to set the record straight, whilst trying to break preconceived listening habits. It would be a disservice to listen to masterfully crafted, unique flavours of Ethiopian music and then group it in with all other music made beyond the West. It’s like nothing else you’ll hear and has a mystical quality to it, with a real sense of striving towards something deeper; you can feel a strong connection with the past and its mythology. Of course, there are Jewish, Arabic and Chinese influences from the East, and countless influences from the rest of Africa – notably the North West – but at the same time it’s incomparable to anything else. To better understand the music in Ethiopia’s capital city, you have to look back nearly 100 years to when Kevork Nalbandian impressed Ras Tafari Makonnen with his musical abilities in Jerusalem and was commissioned to create an Ethiopian royal brass band with a group of 40 fellow orphans of the Armenian genocide, known in Amharic as ‘Arba Lijoch’ (40 children). There’s a long-standing connection between Armenia and Ethiopia because of their Orthodox churches, a bond so strong that Armenians weren’t considered as foreigners at the time. 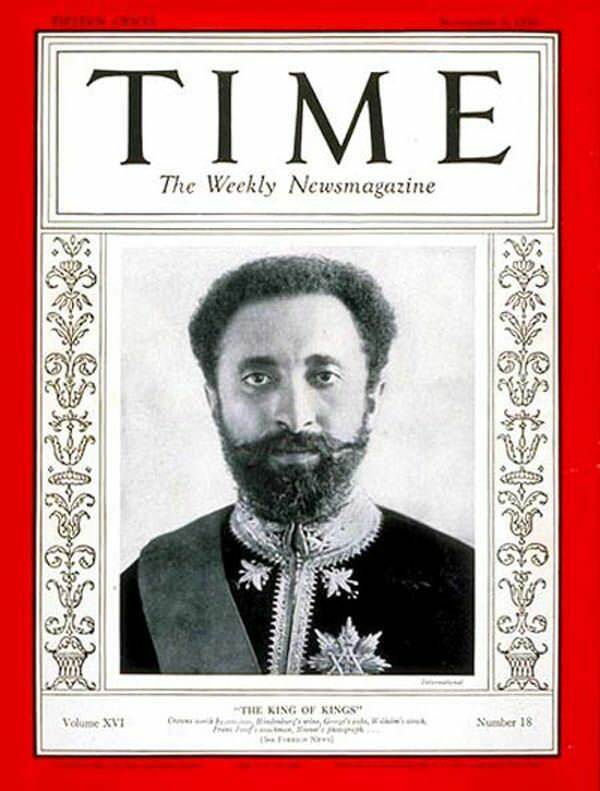 The Arba Lijoch created a new national anthem, ‘Teferi Marsh, Ethiopia Hoy’ (Ethiopia, Be Happy), which they first performed at Makonnen’s 1930 coronation as Emperor Haile Selassie I. Having conducted a number of orchestras, founded the Addis Ababa theatre and composed over 50 Ethiopian songs, the music infrastructure developed by Kevork fell into the hands of his nephew, Nersès in the ‘40s and in the following decade he began to lay the foundations for Ethio-jazz by marrying traditional Ethiopian with Western influences. A number of renowned musicians cut their teeth in his orchestras including Tlahoun Guèssèssè, Alèmayèhu Eshèté, Hirut Bèqèlè and Elvis impersonator Mahmoud Ahmed. Known as the father of Ethio-jazz, the crystallising role of Mulatu Astatke can’t be ignored in the story. Originally born in the Ethiopian city Jimma, Astatke started his education in Wrexham and got a degree in music at London’s Trinity College, collaborating with Guyanese percussionist Frank Holder before moving to Boston’s Berklee College, where he began recording straight up Latin jazz. Leading a band on vibraphone and congas, he slowly began to blend these influences with the sounds he grew up with and changed the face of Ethiopian music when he brought this fusion back at the turn of the 1970s. Astatke arrived home at the perfect moment. 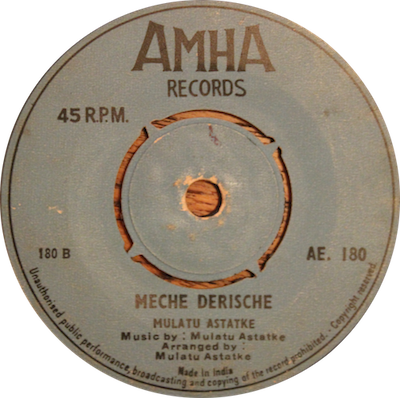 Amha Eshete had set up his eponymous Amha Records in 1969, which became the backbone of the burgeoning jazz and R&B scene – alongside Kaifa Records – releasing many of the key recordings in a golden era of music that lasted until 1978, when Amha ceased operations and Kaifa switched to cassette. The foundations of the music scene had begun to shake following 1973’s famine, which paved the way for the communist Derg’s military coup in 1974 and the subsequent nightlife curfew. “There was a lot of music made during that time, even though there were curfews and limitations,” Endeguena explains. “Limitations are good to a certain extent, to get you to be creative but at some point it limits the potential of what can happen.” This period of prolonged restriction lasted until 1991 and, coupled with an even more devastating famine in the ‘80s, it created a real disconnect with the music of the past. Owner of Addis’ most forward thinking azmari bet, Fendika, Melaku Belay is a prolific force on the scene. A contemporary dancer who grooves to the rhythms he hears on the streets, from metalworkers to markets, Melaku started working at Fendika 20 years ago and gradually began transforming it. When you consider the economic uncertainty and political unrest - with the country falling into a state of emergency in February this year - you might see why a career in music can look far too precarious at the moment, especially when the odds are stacked. When Melaku started out at the Fendika, the azmaris were working without salary and surviving on tips alone. Over time, he dedicated himself to creating a thriving cultural centre, sleeping on the venue’s floor and living off tips for 12 years. He’d bolster his earnings with private tuition, whilst finessing his technique in the city’s theatres. In 2008, he’d saved enough to take over the rent of Fendika and finally offer the azmaris a salary. 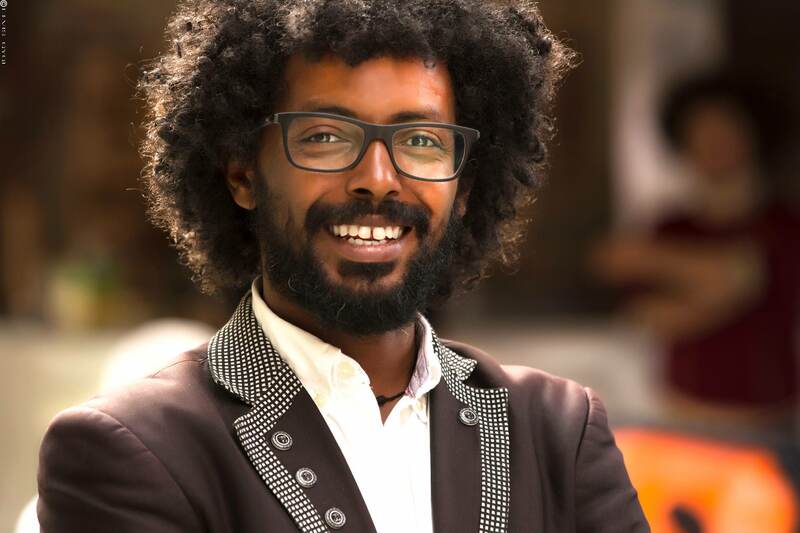 The following year he’d form the Ethiocolor traditional band and bring a new experience to Addis, the opportunity to see Ethio-jazz in the same venue as azmaris. This would be truly authentic Ethio-jazz too, with a lot of other venues utilising Western musicians, Melaku wanted to put Ethiopian music firmly back in the hands of the locals. Through this, he’s reignited a number of careers and has also done much to spread Ethiopian music around the world, taking musicians on tour through Africa, Europe and the US, whilst also finding outside financial support to help him sustain the vitality of his country’s culture; he’s currently working with a UNESCO grant to spread more awareness about azmaris and change the perception of the profession amongst young people. More recently, he’s had to fight for the survival of Fendika as it was nearly swallowed up by one of the huge developments springing up all over the city. Dipping into his savings, and through a number of fundraising efforts, he raised $200,000 and bought the venue outright, opening a space for local artists to exhibit their work in the process. This move has given Fendika temporary respite from the fear of closure, but the fight’s not over yet. Things have been looking somewhat brighter in the time since I left and Ethiopia has sworn in a new prime minister that for the first time represents the Oromo majority in the country, an appointment that seems to have brought a level of optimism with it. If stability is restored, then a thriving culture will hopefully follow. 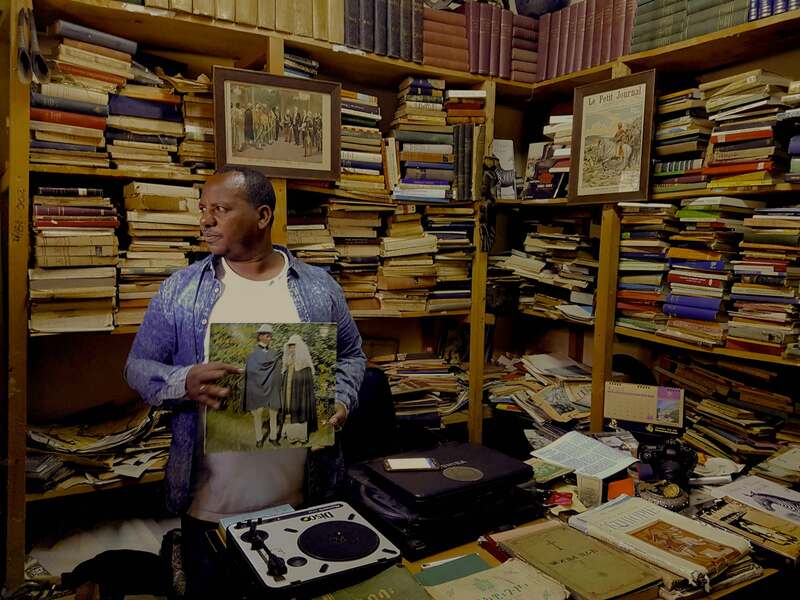 As Ethiopia’s music scene has begun to recover and reconnect with its golden era, an outside interest in the country’s treasure trove of records has grown too, driven by people like French musicologist and producer Francis Falceto. He first encountered Ethiopian music in the ‘80s and has since become somewhat of an evangelist for it, starting the Éthiopiques series in 1996, which continues to this day and focuses on the ‘60s and ‘70s recordings of the golden era. Like Melaku, Falceto has helped re-energise a number of careers. The fact the country produced vinyl for such a short time, with only around 400 recordings pressed, means Ethiopian records have become an expensive pursuit. They’re not easy to come by either. To find a dealer you’ll need to follow a series of tip offs and line a few hands, and when you do, you can find that they’re reluctant to sell to anyone who’ll take the records out of the country. This is more understandable when you consider that the fluctuation in prices has meant many locals can’t afford the shakla (records), creating a fear that they could all leave. Outside influences have sometimes exploited the welcoming nature of Ethiopian people; a good example being the Ethiopian treasure looted by the British in the 19th century, which is only now being returned to the country, audaciously, only on loan… Even Falceto’s seminal Éthiopiques series has not been without its criticism. 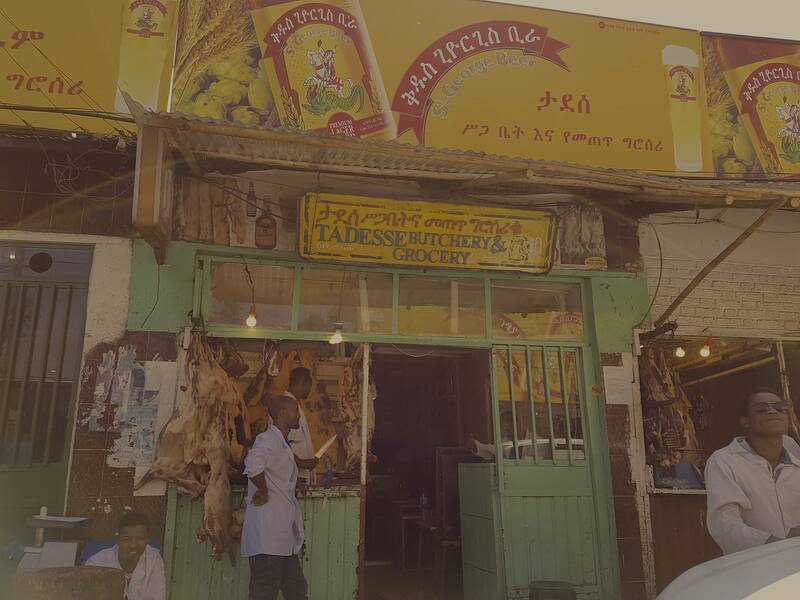 To accompany ‘The Addis Scene’ article, Josh Ray has put together a selection of music found in Ethiopia’s capital city, alongside a few sounds that filter in from the rest of the country. From soulful traditional folk music to fiery Ethio-jazz and R&B, esoteric analogue grooves to club ready Ethiopiyawi electronic, the selections move across the vast landscape of music in Addis Abeba.